The sliders control the radius and height of the cylinder below. Adjust the sliders. 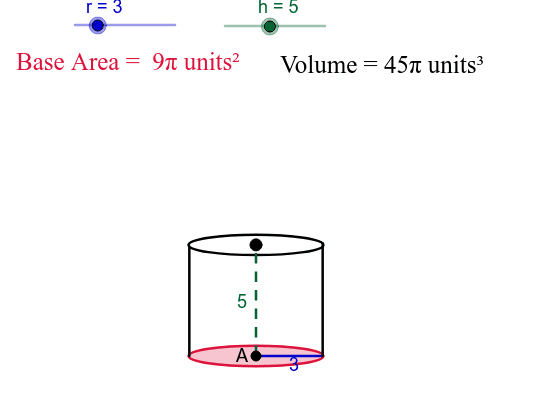 Can you find a relationship between the base area and the volume of the cylinder?